Modern cars carry more than 40 electric motors for around 20 functions. 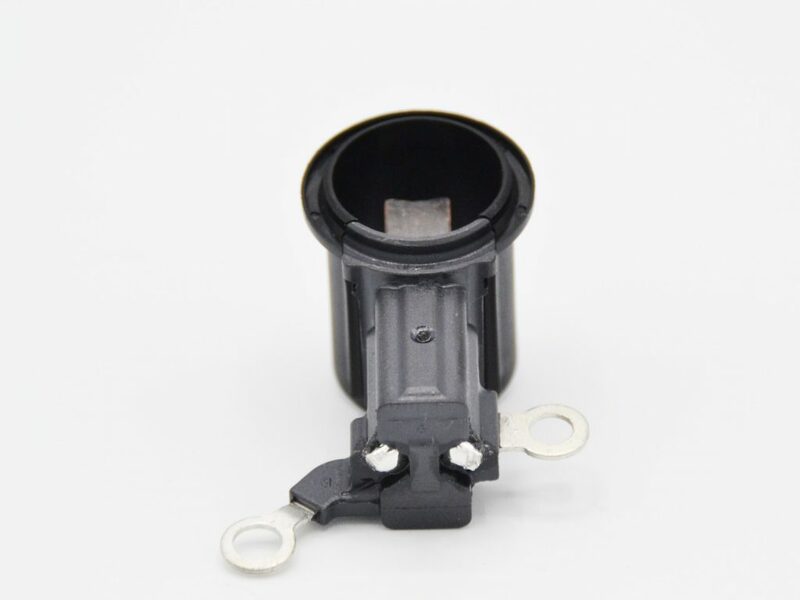 AVOCarbon is a major supplier for the automotive sub-assembly industries. lean technology to every car. 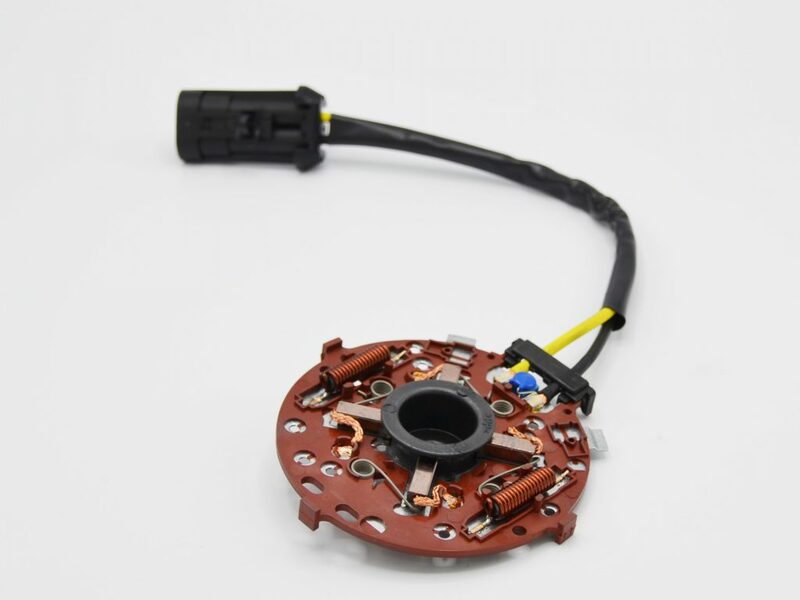 AVOCarbon designs and manufactures : motor brushes, carbon brushes, chokes (inductors), brush holders’ assemblies, brushcards and peripheral harnesses tailored to fit each specific engine within the car. AVOCarbon provides an optimal integration of the brush on its holder to achieve the best performances. Integrated brushes allow better control over assembly functions which are crucial for optimal brush operations like forcing the brush against the collector or a sliding gap between the brush box and the brush. 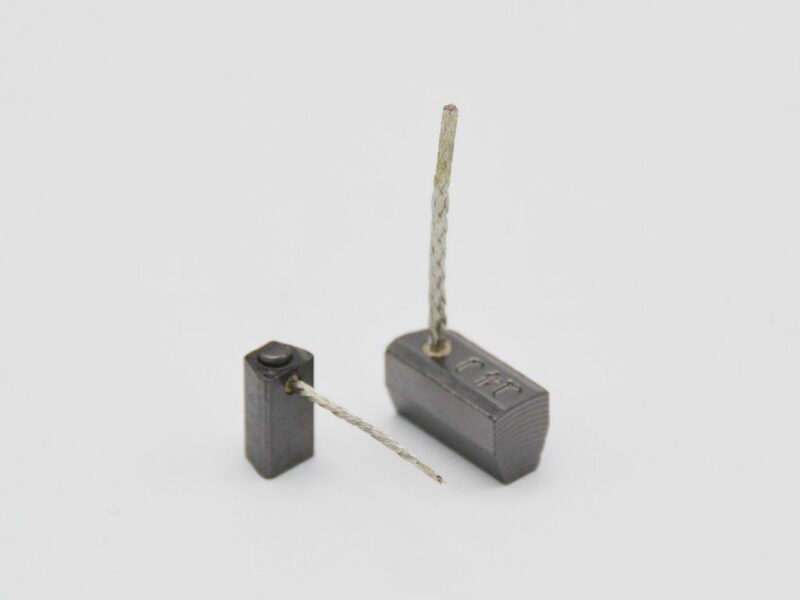 For customers, integration of brushes simplifies manufacturing processes by handling sub-assemblies. 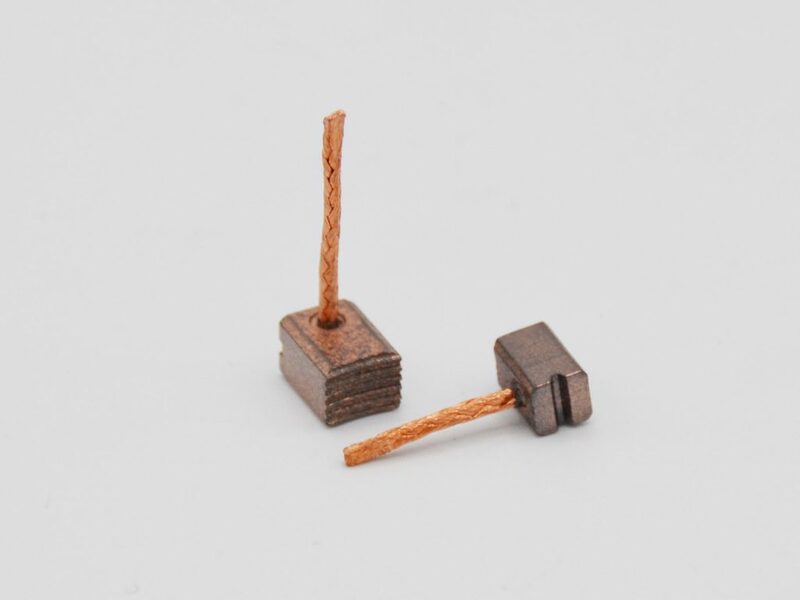 AVOCarbon can deliver brushes with custom finishing operations like braid welding or specific packaging. 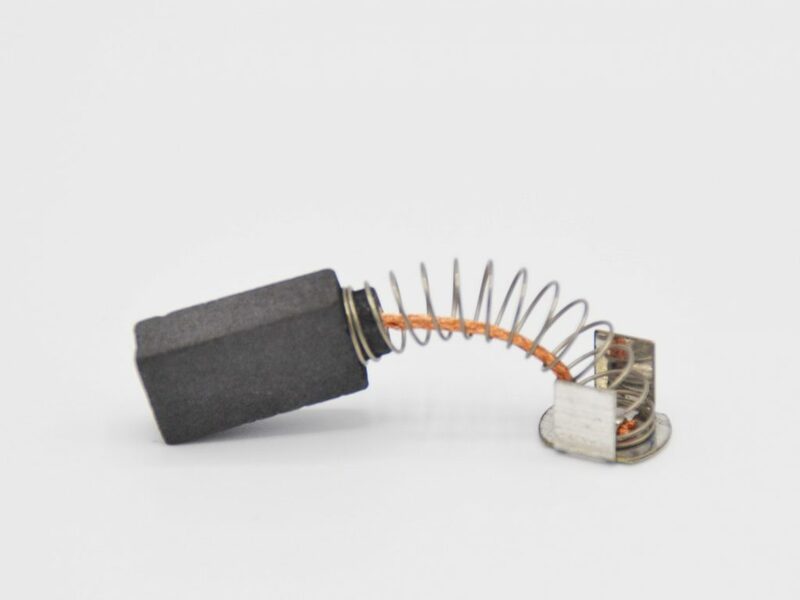 AVOCarbon can integrate its brushes into simple or more elaborated assembly including terminals, springs, sleeves, electronic circuitry, EMI protection or thermal control of powered motors. For medium sized motors in high temperature environments, bakelite plates are a good choice. 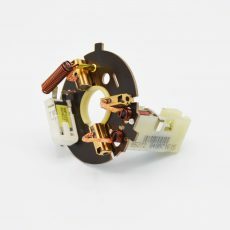 AVOCarbon has experiences in integrating bakelite plates and metal brush boxes for application, such as front wipers and small EC motors. 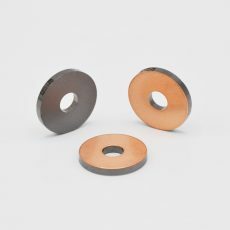 AVOCarbon can also integrate the design and manufacturing of bakelite plates. 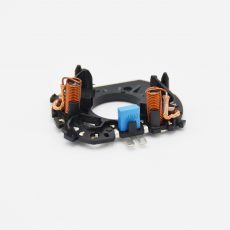 AVOCarbon can provide collector-to-connector solutions for motor integrators when connection interface is not on the motor housing. 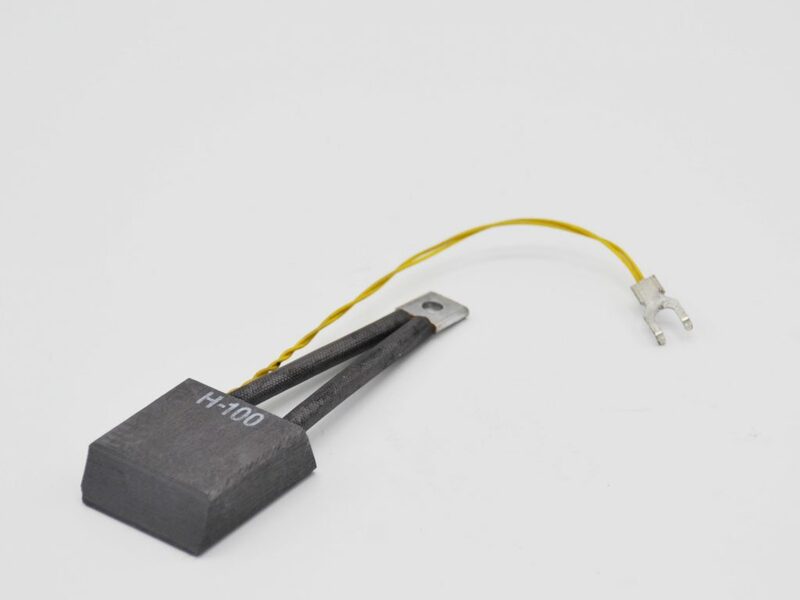 AVOCarbon can manufacture harnesses and integrate them with wire cutting, crimping, finishing and assemble them. 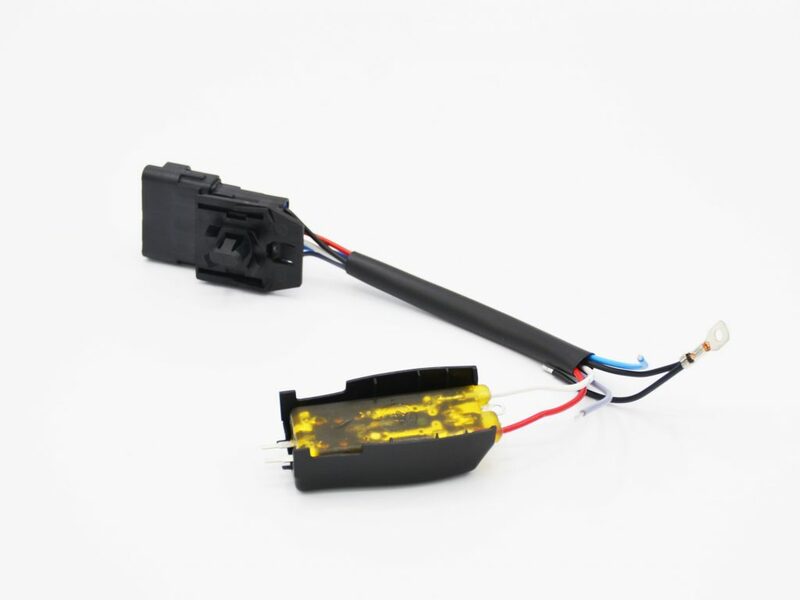 AVOCarbon designs plastic holders with a molded electric track. 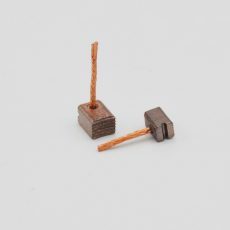 They can be used in demanding environments. 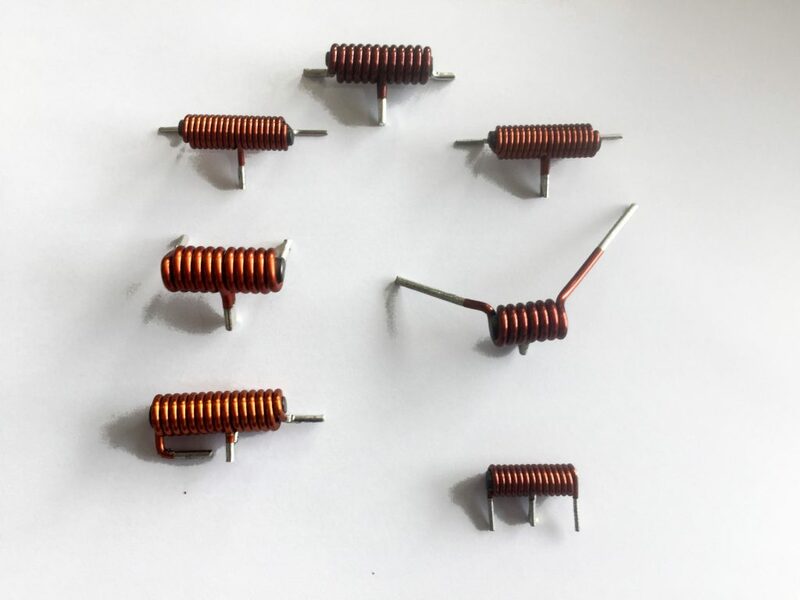 These brush holders are adapted to engine coolers, ABS actuators, gear motors and any applications where temperature rise is a constraint. 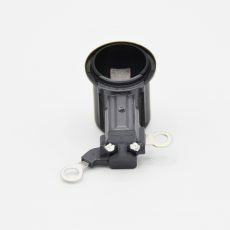 Plastic holders with a crimped circuit fit low to medium power motors such as rear wipers, sun roofs or seat movers. 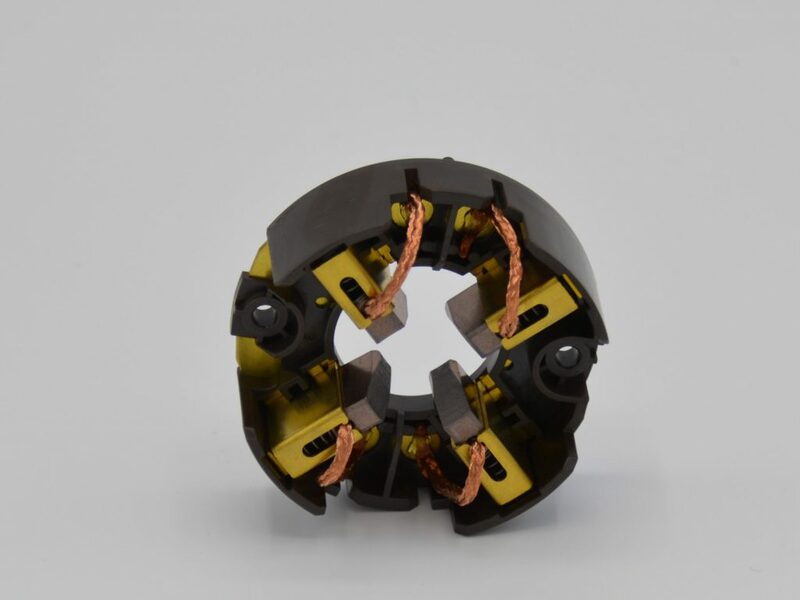 AVOCarbon has a long experience and expertise in designing and manufacturing plastic holders with crimped electric tracks for high volume applications. When temperatures and shape complexity matters, AVOCarbon provide solutions using thermoset/PPS material. 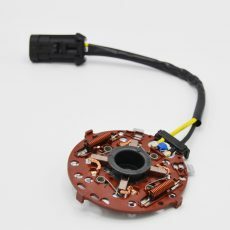 The combined solutions are an ideal fit for applications as alternators, EBV, starters or engine cooler motors. Designing a fuel pump application is a challenge because corrosive fuel interacts with the commutating parts of the engine: brush , disc and ring. 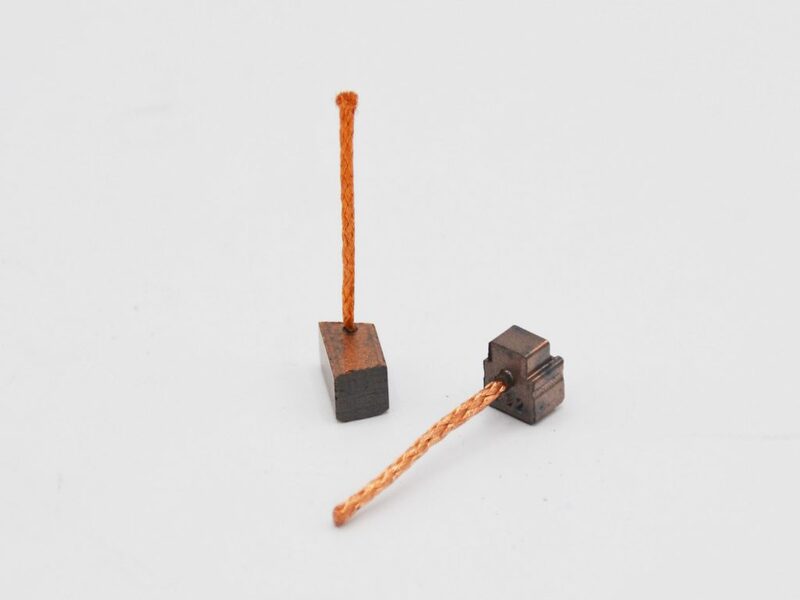 AVOCarbon uses specific resin grades to create brushes that can operate in any fuel environment. 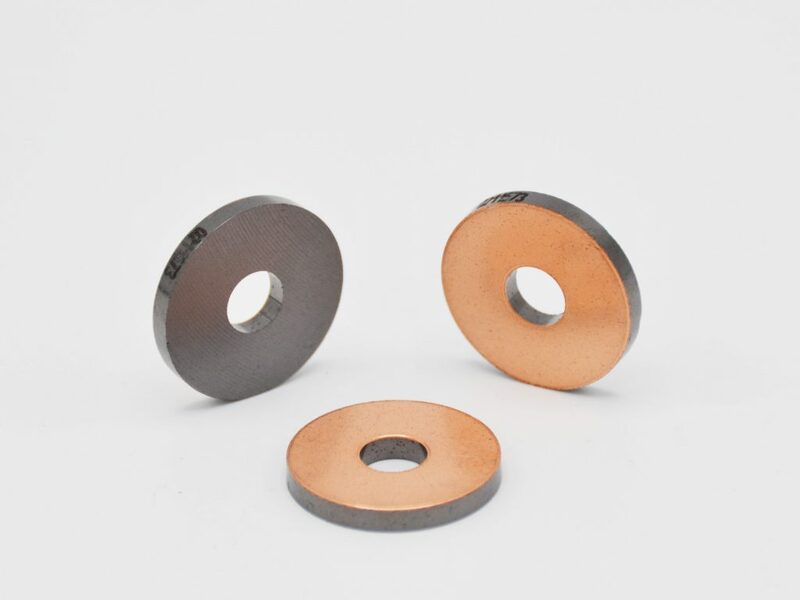 The range of products extends from fuel-pumps using copper commutators to graphite commutators. 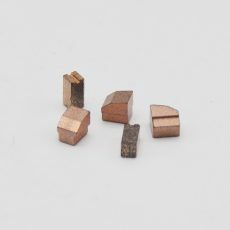 Metal graphite grades designed by AVOCarbon give great performances under varying temperatures, dampness constraints, and current conditions for Intermittent duty applications. Using adaptable manufacturing processes on any of the three molding directions, AVOCarbon can adjust to a wide range of technical requests. AVOCarbon metal graphite grades meet most of the acoustic noise requests found in auxiliary small motors. 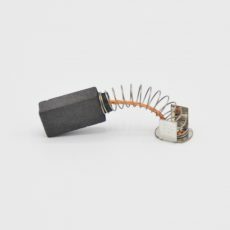 Brushes featuring these grades have a longer lifespan and stable performances over time plus low acoustic and low electromagnetic noise, both for 12V and 24V applications. AVOCarbon has built specific grades suited for Electric Battery Vehicles. EV grades are used on brushes qualified for applications ranging from electric golf carts to OEM electric cars. Grades allow constant performances and reliable lifespans, under any operating circumstances. 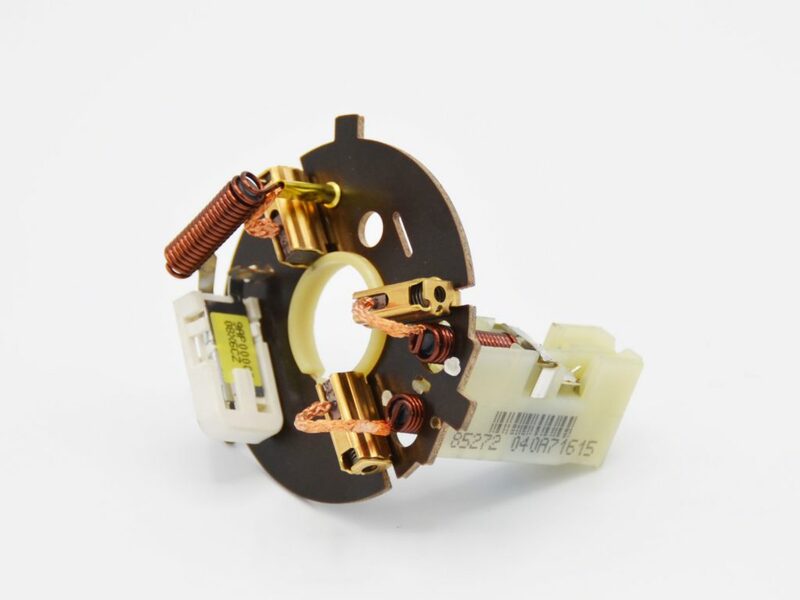 Using 12V and 24 V metal graphite grades either in single or dual layer configurations, AVOCarbon brushes cover power ranges from 1 to 6 kW for starter motors. 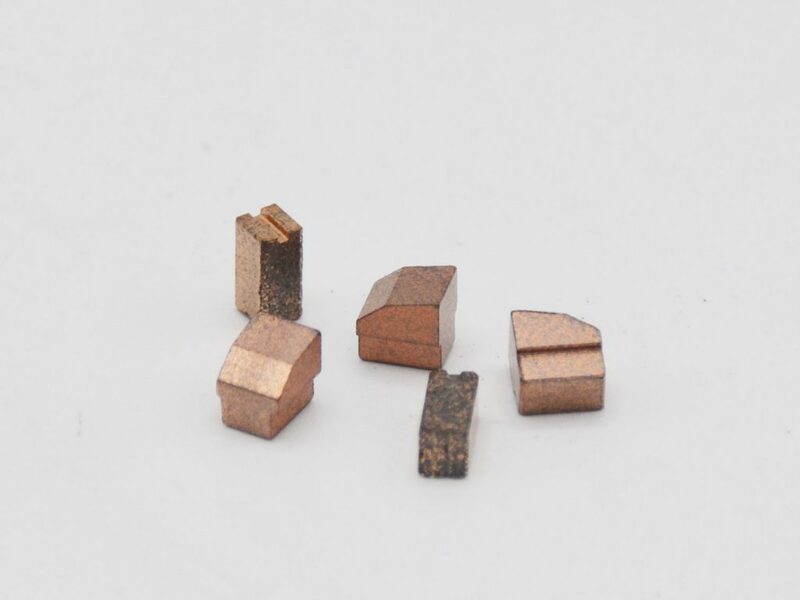 Metal graphite grades are tailored for long lifespans and performances for conventional starter applications and demand start/stop starter applications. Metal graphite grades designed by AVOCarbon offer acoustic noise reduction, long life spans with stable performances over time for front and rear wiper. 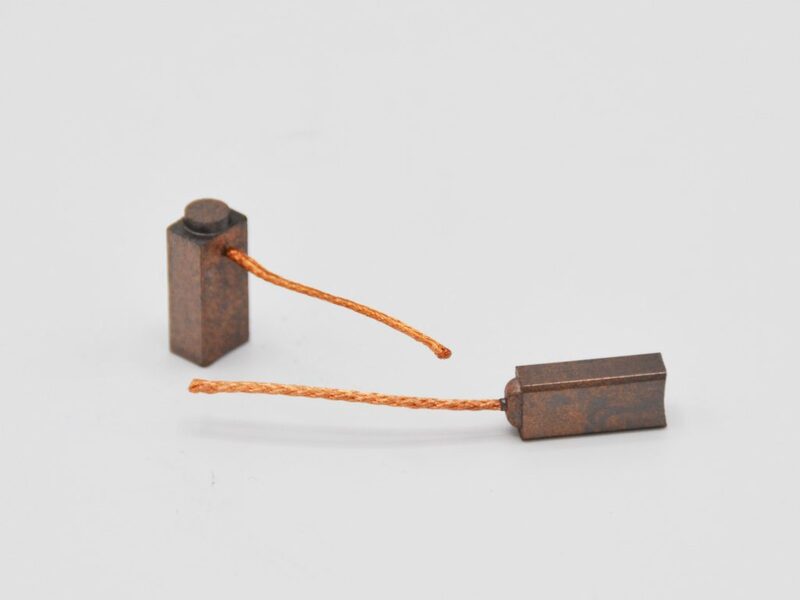 A wide range of grades are compatible with 2 pole as well as 4 pole motor design. 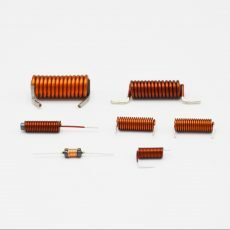 Fuse chokes integrate a fuse function for motor overheat protection which can replace dedicated thermotrip components in some applications. 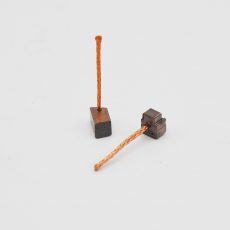 AVOCarbon designs and manufactures fuse choke for integration in brushcards of for separate applications. 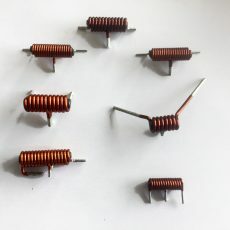 Passive inductor components are found on most brush holders. 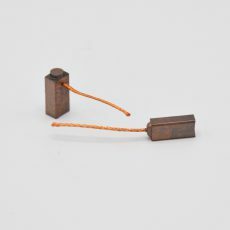 Chokes provide for a better flow of current to the collector and are used for EMI protection of the motors. 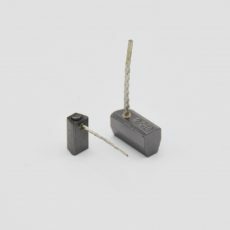 AVOCarbon has deployed manufacturing capacities for these components to improve the design and to conform with cost requirements and is able to integrate them on its brush holders’ assemblies process. 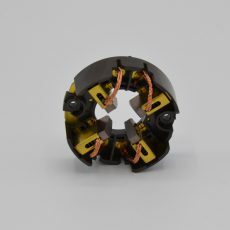 Matching of the carbon disc material with the brush material allows to achieve the best coupling and performances. 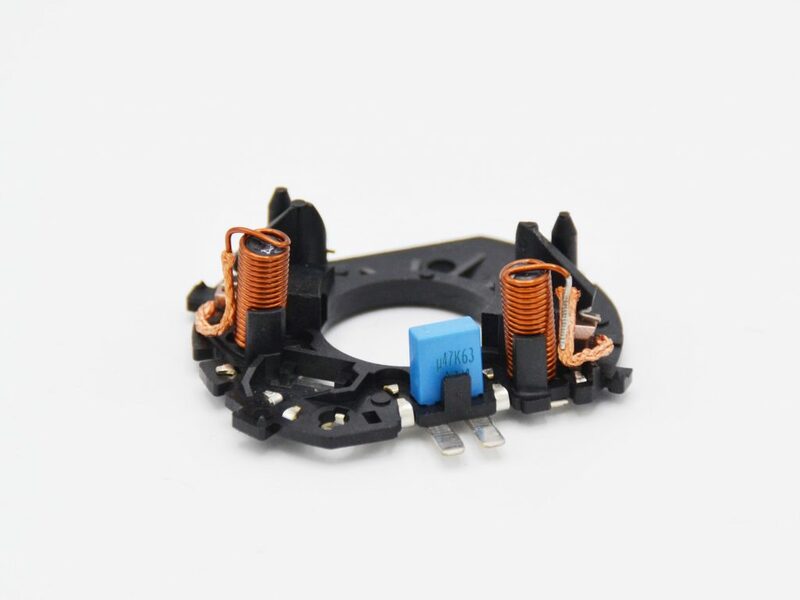 AVOCarbon dual layer disc technology enables a robust soldering connection with the commutator. It reduces complexity and improves quality. 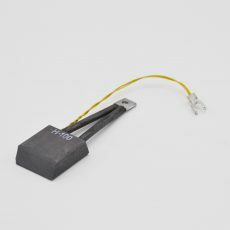 As an addition to stand-alone brush holders, AVOCarbon can design and manufacture various harnesses ranging from simple to complex ones, draining power current or control command to motors. 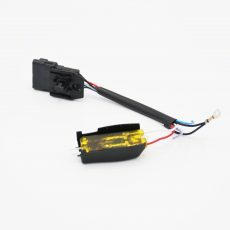 AVOCarbon has the knowledge to manufactures harnesses and connect them with automotive systems. Electric engines are everywhere, for domestic or professional use. 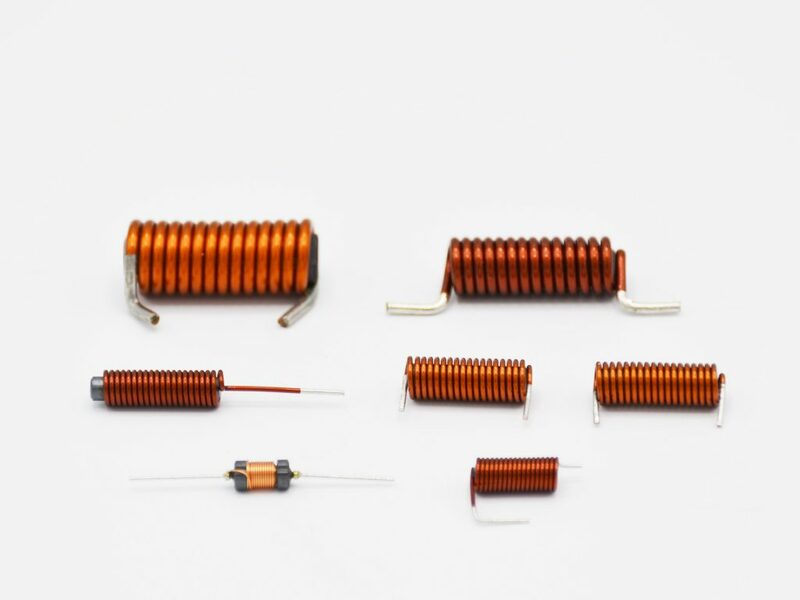 AVOCarbon provides its expertise in brush, chokes and motors assemblies to consumers goods manufacturers worldwide. From washing machines to automated doors, from gardening tools to professional drills, AVOCarbon brings reliable technology at home. 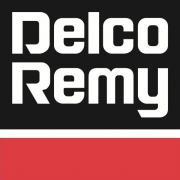 tailored for each specific motor application in the household and professional appliances, power tools and gardening tools.